Not sure what plants will survive in our North Country climate? 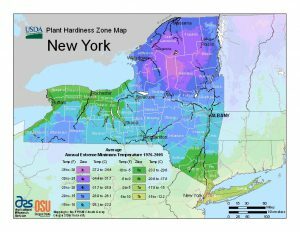 Plant hardiness zones, also referred to as planting zones or growing zones can help gardeners understand which plants will survive in the region of the U.S. where they are planting. When I first moved to this area 26 years I only knew plants that thrived in southern New Jersey. It was a real learning curve for me, moving into a region with below zero temps such as we are experiencing this week! As a result, I lost quite a bit of plant material my first few years gardening in Saratoga County. 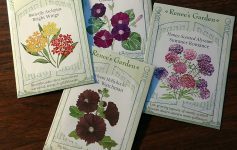 To grow the best garden possible you will need to select plant varieties that can thrive year round in our extreme winter temperatures. Planting Zones as identified by the US Department of Agriculture generally define which plants you can grow in your area. Let me add a personal disclaimer here. Zone maps as outlined by USDA are not an absolute! You may live in a “microclimate” where things like soil, humidity, heat, wind and other conditions can affect the viability of your plants. I can speak with great authority on the subject of a “microclimate”. My gardens need to survive at the highest elevation in Northern Saratoga County. Temperatures in general can run a few degrees colder and snowfall higher than just 10 miles south. Plants that do fine in Saratoga Springs, may face growing challenges in my neck of the woods. 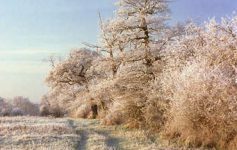 Once on the site, enter your zip code to find your plant hardiness zone. Generally Saratoga Springs is a 5a zone. The a is like a half zone. Therefore, I recommend you select plants that are rated for zone 5 and under. Some “microclimates” in town with building structures and pavements to keep things a bit warmer, may allow for a plant rated at 6. But you may be rolling the dice on plant viability over the long range. Shrubs and perennials will come with plant tags. Take a moment to read the back before purchasing. The tag is like your “instruction manual” for the plant. It will identify the plant’s hardiness zone along with other planting information. Take a moment to read this before deciding to purchase your plant. 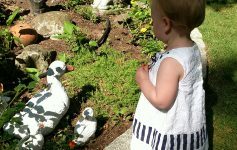 This will keep you “in your garden zone” and offer greater gardening success. As always keeping common sense and sustainability in all my garden practices.